Flowers on hair comb with a natural look is an ideal choice for a Boho or woodland wedding bride. 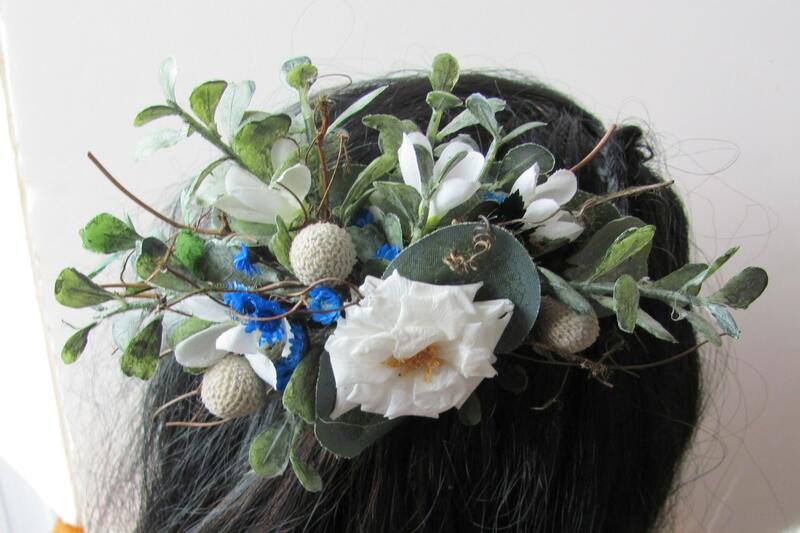 and accents of silver Brunia, blue starflowers, twigs and moss. 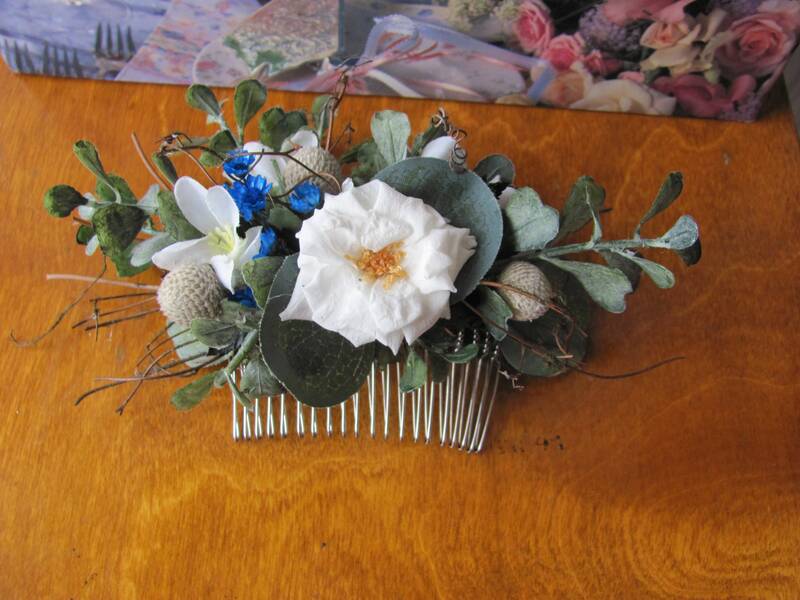 The flowers are mounted on a 3 inch long metal hair comb. 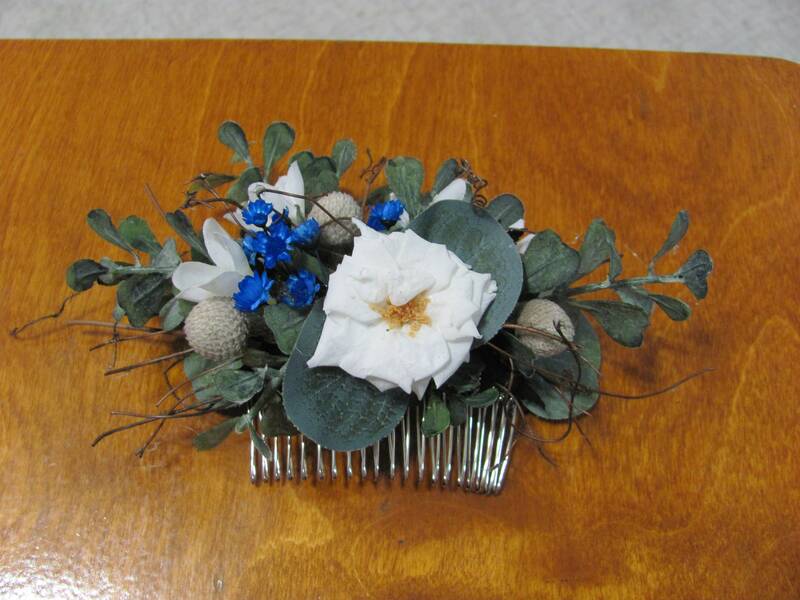 This floral comb has an overall length of 5.5 inches and is approximately 3.5 inches tall from the bottom of the comb to the top of the floral piece.